Discussion in 'Explorer - Ranger Interior Accessories' started by PapaSquat_73, December 10, 2013. I've been searching the past few days with no luck. 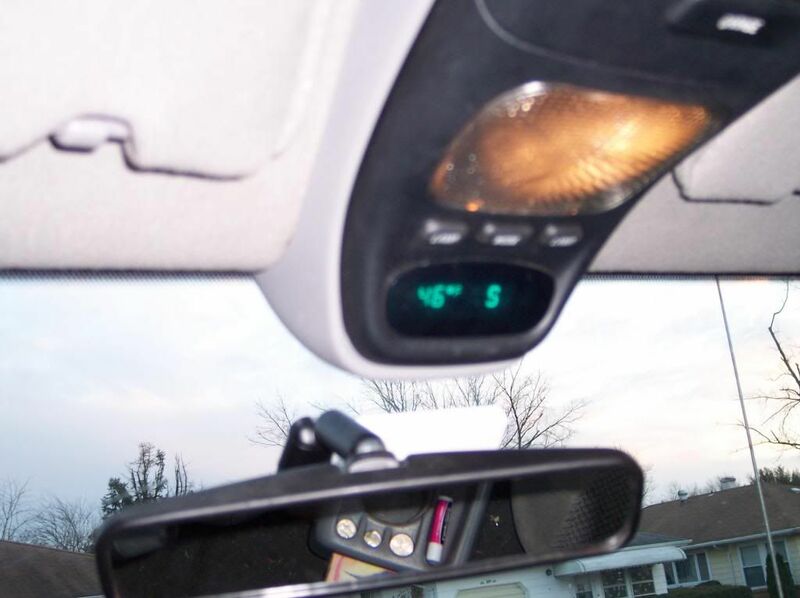 Does anyone know if it's possible to add an overhead console into an Ex that doesn't have one? I'm looking to add a few switches and some other lighting, and though it would be a nice add-on. Not sure about 2002, but I know you can in a second gen. You'll just have to tap the wiring yourself, there's no plugs for it. I added one to my 2000 Ranger. I made up a harness & ran two of the wires to the dome light, then removed the r/s pillar post molding to run the wiring down there & under the dash to hook up 3 more wires. I then ran the wiring for the sensor out through a rubber grommet just above the r/s upper door hinge & put the sensor behind the r/s headlamp. If you want all the bells and whistles maybe one out of a Merc Mariner or Lincoln Nav. Heck if your going to go there you could grab the auto dim mirror too! The Navigator has this pretty cool small one with temp and compass...The roof and vent switches could be re-purposed for what ever. Matches the brightness with the rest of the interior lights. Not needed if you just want it on full bright all the time. Black/Blue is power to the map lights, You can hook this up a few different ways. You can hook them up so they work off the dome light from the doors. In the configuration you wont have the map lights unless your door is open. To make them map lights just hook them up to a constant power source. Green/Orange is for power to lights in the visors. This wire is to be spliced into the speed sensor of the car so the console can compensate for wind chill. This is the main power that will go to the console. Thanks for the info! But all i have is the wires that come from the console itself that are all black. It plugs into what appears to be a electron board. I was hoping someone knew the pin out of the console pigtail. Just can't seem to find a picture any where for this booger! How does the mounting bracket stay attached on the 3rd gens? 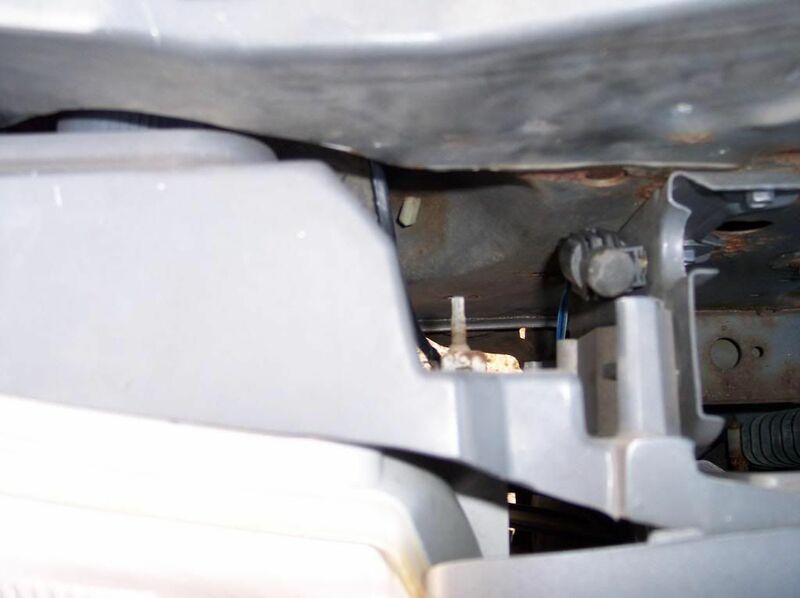 Are there fasteners under the headliner from the factory (for models like mine that didn't have an overhead console)? My overhead console has two clips on the front near the light(near the windshield) and has a screw in the compartment closest to the back. Thanks very much I think this will help a lot! Bringing this thread back from the dead, sorry! Anybody know if a '95 without an overhead console would already have the wiring in the harness from the factory? 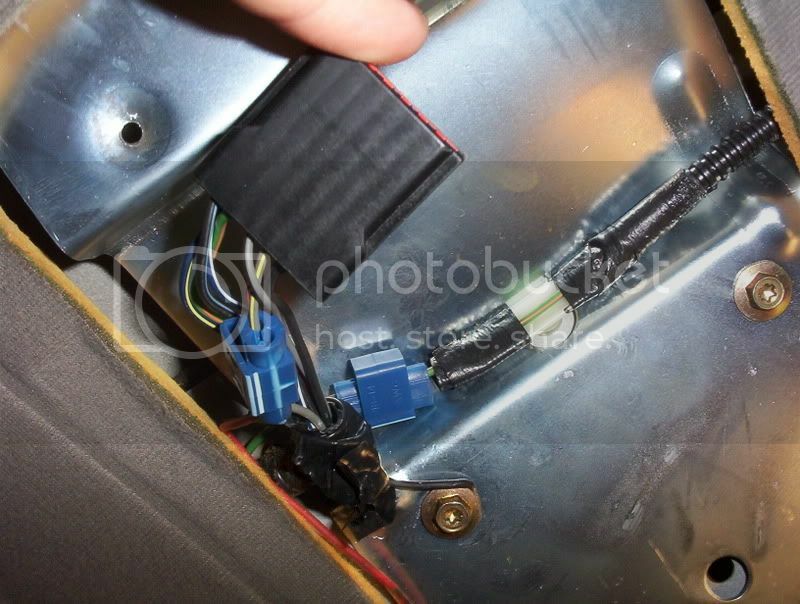 Nabbed a console, wiring and temp sensor from a nice '97 today, just wondering if I can plug it in to my truck's factory harness instead of splicing (it's behind the dash fuse panel and total mf'er to get to, hence why I'm asking...I'm not about to pull my dash apart just to look at the connector like I did on the donor).